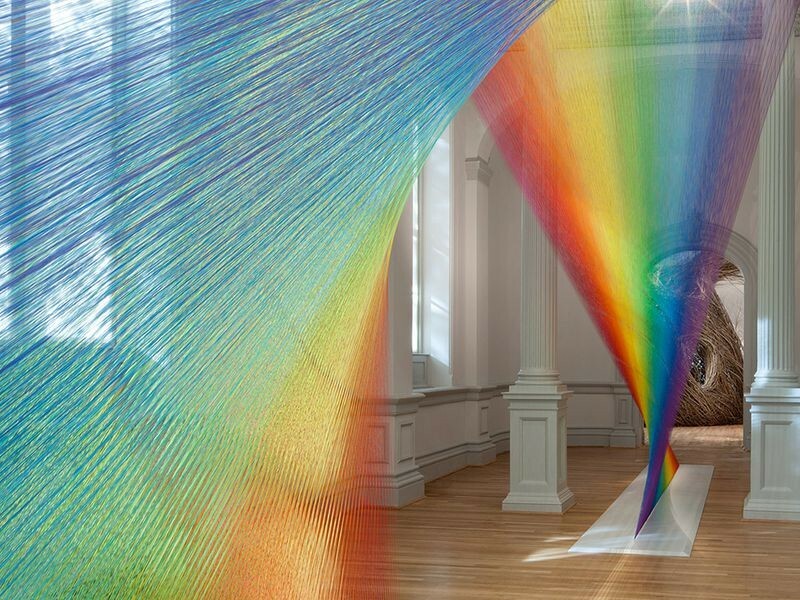 I recently came across this artist, Gabriel Dawe, and I love his work! It really reminds me of Janet Echelmann's floating sculptures that are similarly made of strings, but tied together in knots. He makes installations with string based on inspection of the visible spectrum of light, and they're usually in very large spaces. This is his website, where he has pictures of all of his installations: http://www.gabrieldawe.com/. While I absolutely love his work and I think it's such a great idea, I wonder if creating the same thing over and over and never doing anything new really shows your skill as an artist. Is one great idea enough to sustain a lifetime of growth in one's career? Dawe actually started out as a graphic designer, and grew tired of the corporate world, so it's interesting to see how he went from one spectrum of artist to the other.